Soon after 9/11 many impulsive souls advocated that Arabs should be prevented form attending flying schools with the hope that this would help fight terrorism. Now other well meaning officials feel that Iranians cannot be trusted to handle technological knowledge. Recently, Dutch Universities started restricting access of Iranian students to some courses for fear that they might end up working on the Iranian nuclear program. It is doubtful whether in this day and age access to knowledge can be restricted in such an archaic manner. And how hard would it be to hire a former Soviet scientist or a North Korean engineer!? At first view these measures might seem reasonable and proportional but the ethical and moral implications are disturbing. Being born in one country or one ethnic group have always played a role in determining your chances in life or your career path but individuals with exceptional skills and determination managed to break through that ring fence and achieve in their chosen field. The price was usually emigration to the west and the brain drain. These new trends of University departments working closely with immigration officials threaten the credibility and independence of academic institutions in Europe and other parts of the world. It is a short-termist undemocratic move which, coupled with calls on developing countries to restrict their economic growth in order to help fight climate change, can only fuel the resentment of the third world towards the ‘arrogant’ West. 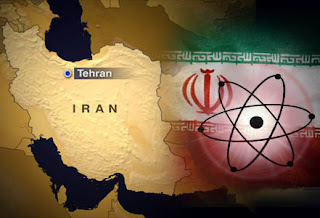 It can also push countries such as Iran, which are at political odds with the US-led camp, on further self-reliance and opacity in their dealings with the International community on the nuclear programme and other contentious issues. This is the definition of terror, they are violating human rights. very shameless bold racism ..
What will they do next? Ban Iranians from attending medical schools so they don’t treat people who may help in making the nuclear bomb?! Here comes the question to mind, why all the states in middle east, where people are so creatively thinking, did not invest their petrodollars in knowledge, engage the best professors, develope their own universities???? They engage western enginiers to build castles, skyscrapers and at least islands in the sea. What a shame, that the small country of netherlands can offer education even for foreign students. Allright, they violate human rights, so if you dont like this and the west in general, stay with pride where you are. May god help you. If your argument is correct then Iran should be allowed a peaceful nuclear programme so that Iranians can learn the technology first hand without having to travel abroad. Another interesting fact is the lumping of Gulf Arabs (i assume u mean Dubai) and Iranians and everyone else in the 'you dont like the west' category. More dsitinction would no doubt be enlighting. The main problem I see with the measure taken by the dutch is that human rights are being eroded in the name of a global fight supposedly for human rights.Isnt that what Bush meant when he said 'our way of life'?